Get social and move the masses. It’s a rare person who won’t return a phone call from Microsoft Corp. Chairman Bill Gates. But Novell Inc. Chairman Ray Noorda continues to do just that. In light of the latest disagreements between the two companies –stemming from the inclusion of NetWare code in Windows for Workgroups, for which Novell has threatened legal retribution — why doesn’t the normally mild-mannered Noorda just sit down with Gates and work out a deal to work together? “To have a heart-to-heart, you have to have two hearts,” Noorda jibed recently. Such is the state of Novell and Microsoft’s relationship, a long and winding acquaintance since Novell’s inception in 1983. Keeping a peaceful balance has become increasingly difficult as the two companies’ competitive worlds overlap more and more. While so far avoiding direct confrontation with Gates, Noorda has no qualms about adopting other, more indirect methods in an attempt to stem Microsoft’s dominance. Take, for example, the Provo, Utah, company’s $350 million bid for Unix System Laboratories and USL’s Unix source code (see related story, Page 1). Both companies recognize the need to work together, for the sake of their customers as well as for their own bottom lines. The question is, can the two continue to make progress on projects in the labs while publicly beating each other over the head? The future is clouded by Novell’s termination of a contract that would allow NetWare code to be bundled in future Windows products. And, while continuing joint work at certain levels — such as extending NetWare connectivity in DOS and Windows 3.1 — the companies are intensifying their efforts to usurp market share from one another. Microsoft is stepping up to the networking plate for the third time with WFW and this year’s expected release of Windows NT, after striking out with its previous MS-Net and LAN Manager entries. Meanwhile, Novell continues to draft an impressive roster of Microsoft competitors, building upon its buyouts of former LAN Manager OEM Excelan Inc., DOS competitor Digital Research Inc., and now USL, as well as expanding key alliances with the likes of IBM, Digital Equipment Corp. and Apple Computer Inc.
Novell is also reportedly in the preliminary stages of working with top software developers to coordinate possible antitrust litigation against Microsoft, and is cooperating with the Federal Trade Commission on its investigation into Microsoft’s business practices. Gates has never tried to conceal his intent to unhinge Novell’s stronghold — more than 60 percent — of the network operating system market. He has openly coveted Novell’s massive installed base above all others and viewed the prospect of Novell defeating Microsoft in networking as a “nightmare,” according to his infamous 1991 internal memo that was leaked to the press. Gates maintains that while Novell’s tactics may be changing, Microsoft has not changed its approach to Novell. 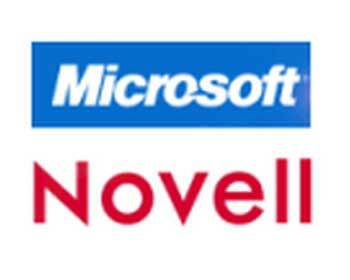 As part of the ongoing WFW dispute, Novell accused Microsoft of breaching its contract by shutting Novell out of the testing process. Gates countered that Microsoft would have included Novell if certain assurances were made to keep the code out of Novell groups — such as the Desktop Systems Group (DSG) — that compete with Microsoft. Novell, Gates said, insisted Microsoft work with John Edwards, Novell’s executive vice president for DSG, which is in charge of DR-DOS and NetWare Lite. Despite wrangling over rights, both companies aim to work out a new deal for Windows NT that will give users connections to NetWare. Novell publicly demonstrated a Windows NT requester at NetWorld and Interop last fall, but the technology demo was abruptly pulled from Microsoft’s Comdex booth during the height of the WFW controversy. Novell’s Edwards said the company plans to show the technology at NetWorld this week but has yet to decide how to make it available to end users. Despite both companies’ protestations to the contrary, if Novell decides to pass on bundling code with Windows NT, analysts said customers will pay a price. “The customer ends up getting screwed; the cost of ownership of Windows code and NetWare goes up,” said Will Fastie, an analyst at Alex. Brown & Sons Inc., an investment firm in Baltimore. Novell and Microsoft’s history of one-upmanship goes back to 1984, when Microsoft introduced MS Net to compete with NetWare, which had been released the previous year. Hardware OEMs rallied around MS Net, and industry analysts predicted Novell’s demise. But MS Net’s sales were lackluster, which Burton attributed largely to that same OEM support. Those OEMs, he said, were far more concerned with selling their own hardware than with the success of MS Net. Four years later, Microsoft made its next major stab at NetWare with LAN Manager for OS/2, which some analysts predicted would achieve a 30 percent share by 1992. Despite giving LAN Manager a shot in the arm through direct distribution and a $60 million marketing infusion in 1990, its market share currently hovers around 7 percent and its features have, for the most part, been melded into Windows NT. Also in 1988, Novell asked to license Microsoft’s SQL Server, a key LAN Manager application, but Microsoft refused, according to Burton. Later that year, Novell approached Sybase, which had licensed SQL Server to Microsoft, but was told the contract prevented Sybase from sublicensing. So Novell struck a deal with SQL Server co-developer Ashton-Tate to license the software and planned a press conference at NetWorld 88 to announce it. “Bill Gates threw a tantrum over the intended relationship,” said Ed Esber, former CEO of Ashton-Tate. Later Esber called Gates, hoping to convince him that the move would benefit SQL Server in the long run. “He didn’t see it that way — and he had a bigger stick than I did,” Esber recalled. “I made the judgment that it wasn’t worth the future grief with Microsoft [to proceed with the deal].” The press conference, and the deal, were nixed. In April 1989, Novell and Microsoft disclosed plans to link their LAN operating systems, only to shelve the project in September when Microsoft pulled the source code after Novell bought LAN Manager licensee Excelan. In 1990, Novell negotiated a merger with Lotus Development Corp. that would have created a company equal in size to Microsoft. Microsoft pooh-poohed the plans — Gates said he welcomed the competition — even though Gates had attempted to set up a merger with Lotus back in 1986. The Novell-Lotus deal collapsed a month later. Meanwhile, Microsoft released Windows 3.0 in May 1990 amid great fanfare and with NetWare support. Both companies later admitted the NetWare support was flawed and worked to improve it in Windows 3.1. In Feburary 1991, Novell stung Microsoft by striking a resale and joint-development agreement with disgruntled Microsoft partner IBM. To date, the deal contributes less than 10 percent of total Novell revenues. 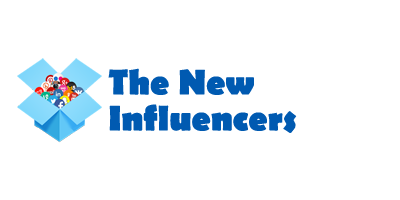 In October of that year, Novell’s acquisition of MS-DOS rival DRI was finalized, but to date Novell has signed few major OEMs as it continues to battle Microsoft’s strict licensing policies. Novell’s Univel joint venture with USL wrapped up the year; Univel shipped its first product, UnixWare, last month. Novell officials stressed they remain committed to supporting all major desktop platforms while crusading to keep industry competition against Microsoft alive. The question is whether Novell can continue to make the claim “freedom of choice” while increasingly meddling in specific desktop operating environments. Microsoft, for its part, has learned it has to support NetWare in all its products, lest it repeat the problems with LAN Manager. Pedrophiliac on Virtual Reality… Still A Waste Of Time? Annabel Greany on Everex: My First PC, And Then, Well… Gone! Trudy Yergin on Virtual Reality… Still A Waste Of Time? Launa Vates on Virtual Reality… Still A Waste Of Time? Lizzie on Everex: My First PC, And Then, Well… Gone! Corey on Everex: My First PC, And Then, Well… Gone!